I’m a sucker for a good schedule. Woot! 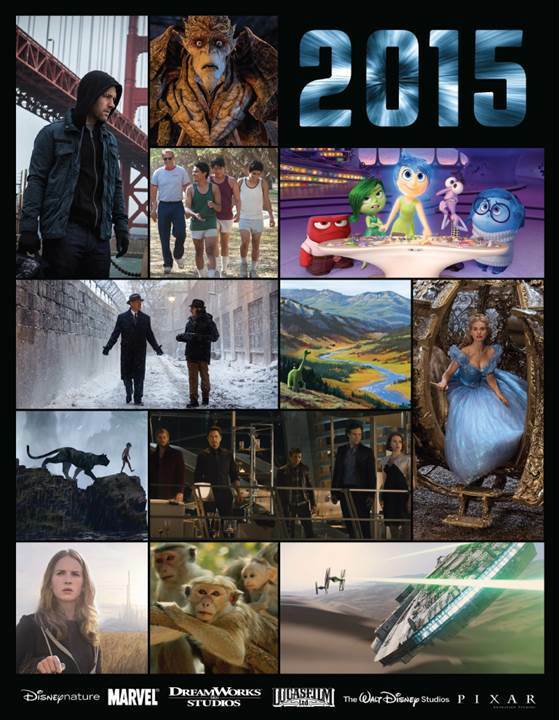 Disney just announced their movie release schedule for 2015. I can’t believe we are in 2015 already. I mean… shouldn’t we have hit the apocalypse by now? Why am I prepping and hoarding beans and rice for all these years? When is it going to happen already?! Sheesh! Trailers galore — I warned ya, didn’t I? ** NOTE: I saw this movie and I thought it was great. A real FEEL GOOD movie. You ROOT for everyone involved and of course are completely invested because it’s a TRUE STORY. ** NOTE: DYING to see this one. Cinderella is one of my favorite Princess movies from Disney movies. “So this is Love” is probably my favorite Disney SONG of all time. The fact that they remade this movie gives me chills. Really looking forward to seeing the spin. You know there’s going to be a spin, right? Disney spins are always worth the ride. ** NOTE: I feel like this one is going to make me cry … a lot. And I don’t know why because it doesn’t present itself as something that would. But I have a feeling that this is really going to hit home with parents and yeah… I’m a mess. So, any little trigger sets me off big time. I’ll bring tissues just in case. And I know while the credits are running, I’m going to be hugging Natalie with all my might. BOOM BABY! What do you think about 2015?? Disney does not disappoint! As if you thought they would. HA! Which movies are you most excited to see?